Ritesh Kumar, completed his basic schooling up to class 12th from New Delhi. He completed his B.Sc. (Hons.) Agriculture from Sardar Krushinagar Dantiwada Agricultural University, Banaskantha, Gujarat in 2015. 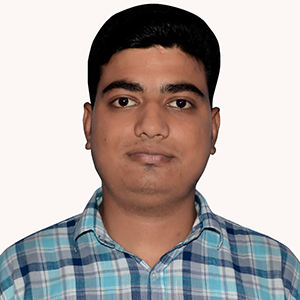 He received his Master degree with specialization in Plant Pathology from Bihar Agricultural University, Sabour, Bhagalpur, Bihar in 2017 and in the same he qualified ASRB NET conducted by ICAR. During his master degree programme he attended many national and international seminars and presented posters and oral. He has written one research article and several abstracts. Now he is doing Ph.D. from Bidhan Chandra Krishi Vishwavidyalaya, Mohanpur, Nadia, West Bengal.